Cue the confetti canons and the champagne! 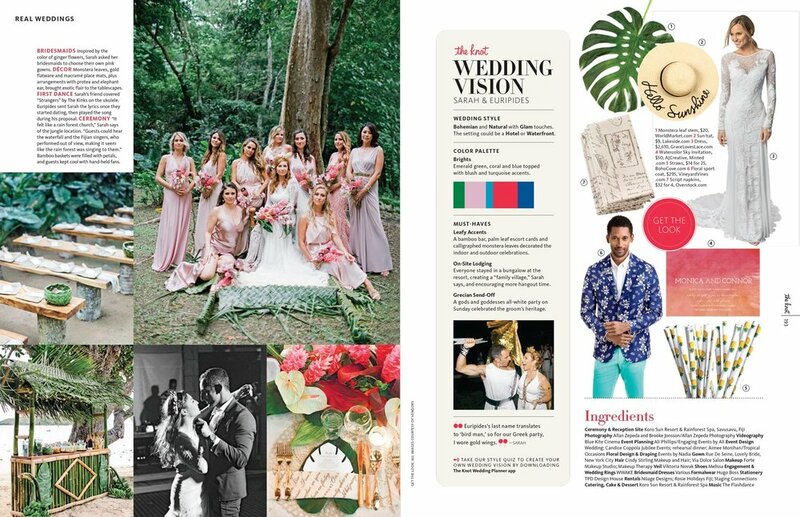 I am excited to share that Sarah and Euri's Adventure of a Lifetime wedding in Fiji was featured in The Knot's National magazine. Destination Wedding Planner: Engaging Events by Ali, Inc.